This is cumulative portfolio growth chart that captures the profit on a weekly basis from the $2500 challenge start trading a variable number of shares per trade. 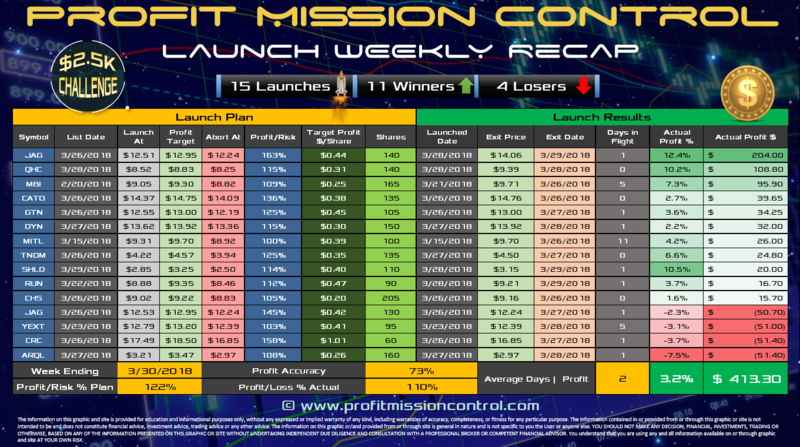 This chart only contains the trades that are launched based on the Launch List published on the site. The profit growth does not include intraday day calls from our intraday alerts. The portfolio growth is based on actual entries and exits from the Launch List that are published on the site, StockTiwts, Twitter and Facebook and are traded using our SureTrader Platform. Our goal is not to brag about profits whether they are real or not, our goal is to track a winning system that generates profits based on transparent Launch plans that are published 2-5 times a week. Here is the latest update to the $2500 Launch List Performance Card. 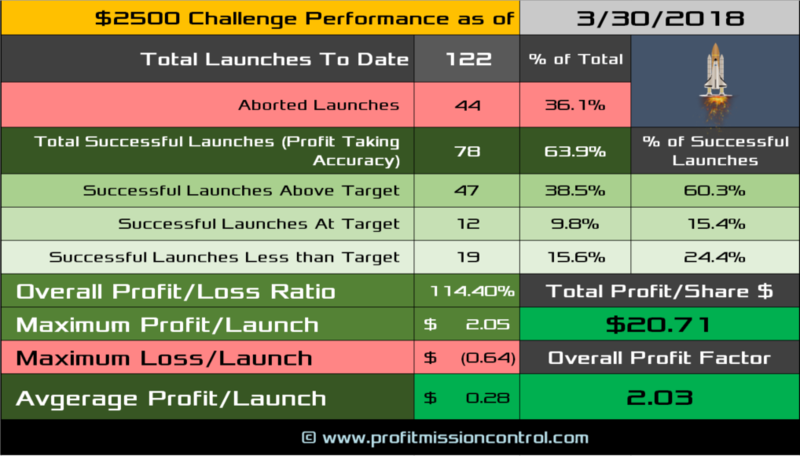 Since the start on 12/8/2017 122 Launches, 63.9% Accuracy with an average Profit/Launch of $0.28/Launch. On a per share basis for the challenge start to date the Profit per Share was $20.71/Share. 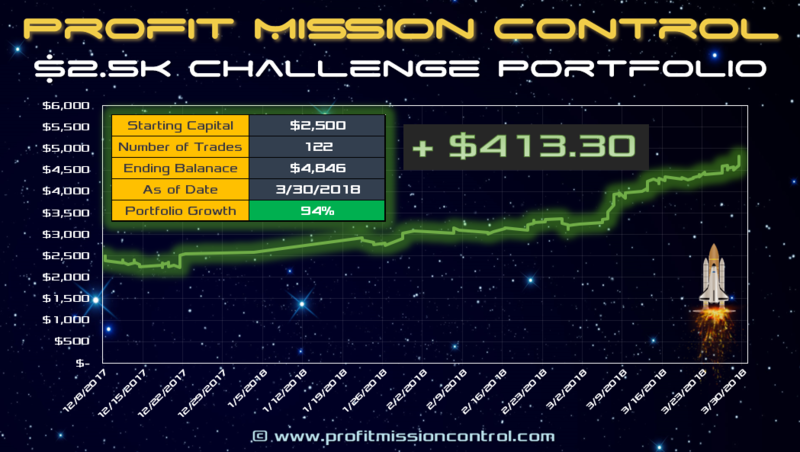 If you multiply that Profit Per Share times the average number of shares per trade (currently sitting at about 129 shares), that will give you the total profit on the challenge so far. Overall Profit/Loss ratio was 114.90% but the Overall profit factor is 2.03 to date.